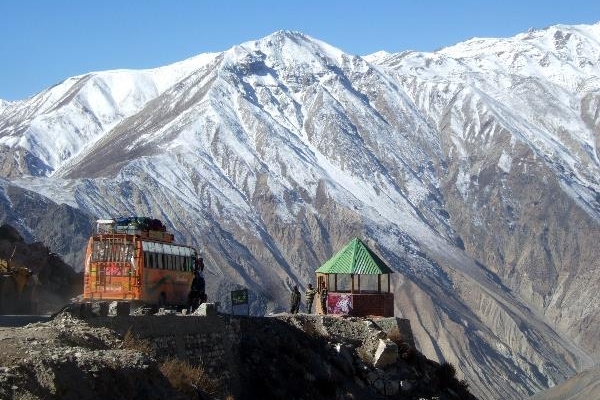 Make It Happen and KSLF have teamed up to offer the 2016 litfest attendees a 10 per cent discount on this Kinnaur Tour, from Oct 17 – Oct 24, 2016. A mountainous area, ranging in altitude from 2,320 to 6,816 meters, Kinnaur is one of the smallest districts in India by population. On Make It Happen’s curated road trip to Kinnaur Valley you will get to explore lush green orchards of the scenic Sangla Valley to the stark magnificence of the Hangrang Valley. The massive snow clad ranges that provide a regal dignity to the scene are dominated by the peak of Kinner Kailash. For details, please visit Make It Happen. Dagshai, one of the oldest army cantonments in India, was founded in 1847 by the British after they managed to persuade the late Maharaja Bhupinder Singh of Patiala to hand over land comprising five villages on a hill—Dagshai being part of the gift of five. Their objective was to build cantonments in the hills, as they were considered to be above the mosquito line and had a more suitable climate, quite like “back home”! As for its name, according to a popular legend, it was derived from Daag-e-Shahi (royal mark). Apparently during the Mughal period the most notorious criminals had their foreheads branded and were then sent packing to the village of Dagshai. – The sports ground of the Army Public School (the country’s most famous ground).